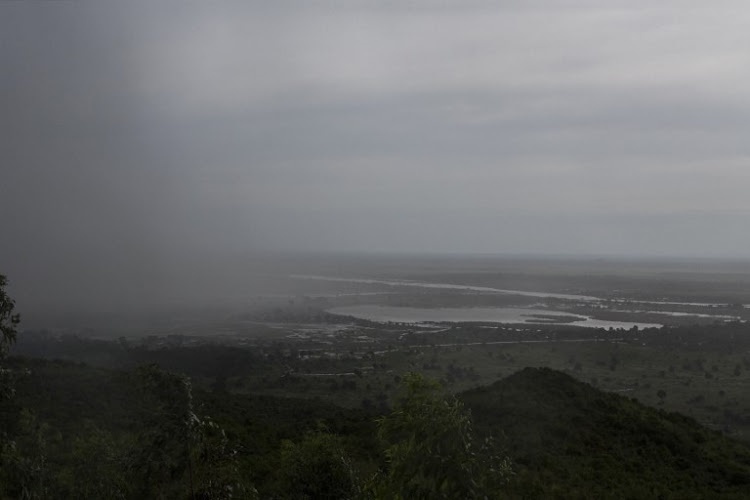 Rain, which is believed to be the beginning of Tropical cyclone Idai coming from central Mozambique, falls in the flooded districts of Chikwawa and Nsanje in southern Malawi, on March 15, 2019. - At least 56 people have died in flood-hit areas as of March 13, according to the government, while 577 had been injured and almost 83,000 people have been displaced. (Photo by AMOS GUMULIRA / AFP)8BIM. Authorities in Zimbabwe said the toll there had risen to 65 in the east of the country, while Mozambique said 48 people were killed in affected central areas, as the cyclone tore across the region on Friday and Saturday. A member of parliament for Zimbabwe's Chimanimani district -- the worst hit part of the country -- gave the updated toll and added that scores remain missing, after houses and bridges were washed away by flash floods when the storm slammed the area. "So far we looking at 65 people that have lost their lives," Joshua Sacco, lawmaker for Chimanimani, told AFP by phone. "We are looking at probably 150 to 200 people missing," he said. Government spokesman Nick Mangwana told AFP that "rescue and recovery efforts are ongoing". Strong winds ripped roofs off of prison buildings in the southern city of Masvingo, according to state broadcaster ZBC. In neighbouring Mozambique where the cyclone hit first on Thursday night, the country's state-owned Jornal Domingo newspaper reported 48 people had been killed, with the deaths recorded in the worst-hit central Sofala province. Tropical cyclone Idai battered central Mozambique on Friday, cutting off more than half a million residents of the port city Beira.